Welcome To Traffic Doors and More. 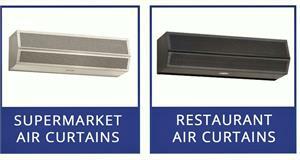 Plastic Strip Curtains, Stainless Steel Restaurant Doors, Air Curtain Fly Fans and More. 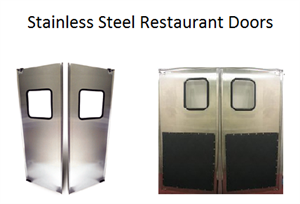 We Have Stainless Steel Restaurant Doors In Stock. Ruff Tuff Series Doors. 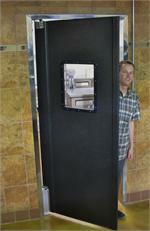 Impact Door With Bumpers. 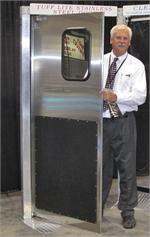 Impact doors for supermarkets and warehouse forklift traffic. Vcam Forklift Series Doors. Heavy Duty Door For Forklifts And Pallet Traffic. 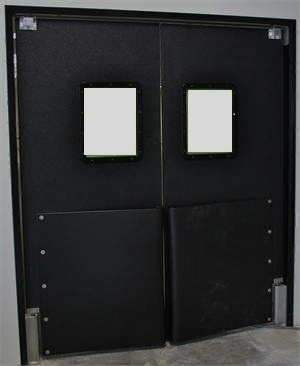 Our most heavy duty door with strong 1"x 2" steel frame construction. 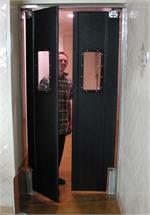 Hinges rated for tall openings up to 10' high. 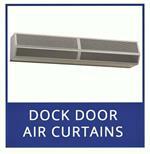 Dock Door Strip Curtains. We Make All Sizes. 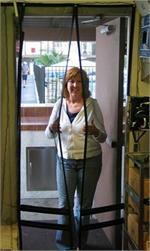 We Make All Size Strip Curtains Precut and Ready To Hang. Complete kits with mounting bars included. Please call with opening size. 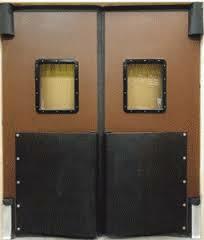 Ruff Tuff Series Door With 24" Bumpers. 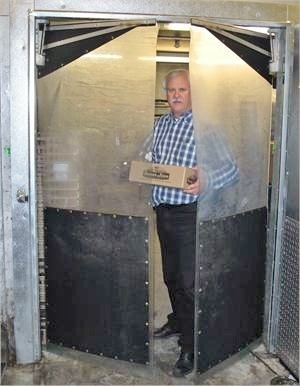 The Ruff Tuff door is a perfect door for grocery store traffic and food processing rooms. 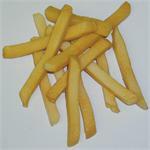 We have a large selection of air curtains for supermarkets and restaurants. Please call with door opening size. 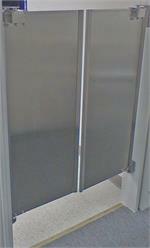 Clear PVC Swing Door With Impact Plates. 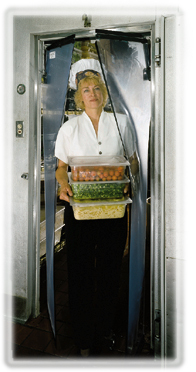 Clear PVC swinging doors are perfect for keeping cold air inside supermarket coolers and freezers. Easy swinging clear panels are a great alternative to hanging strip curtains. 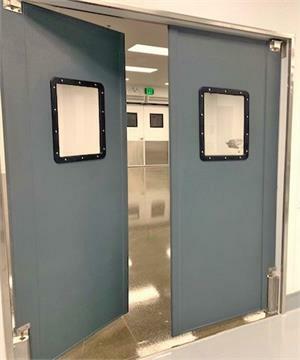 Clear Swinging Doors That Won't Knock Off Your Hat Off. 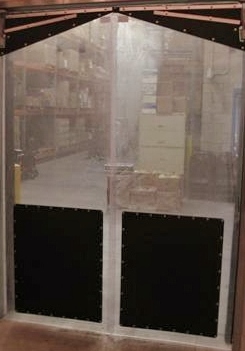 Clear Vu swing doors for walk in coolers and freezers. On display at the show. Thank You For Visiting Traffic Doors and More. 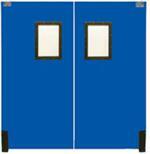 We Have A Large Selection Of Traffic Doors and More To Choose From. 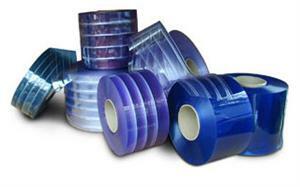 Plus We Provide Low Pricing and Knowledgeable Assistance.